Squeeze bottle cleans grease, marker, adhesive, and wax from any surface. Oil based cleaner not intended for use with lenses. 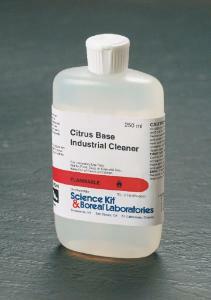 Recommended by Science Kit’s microscope repair department for cleaning microscope bodies. 250 mL bottle.